Just Cause 4 Jurassic Park Easter Egg – Where Is It? Just Cause 4 is out now, and it’s full of secrets, mysteries, and Easter eggs. There’s a secret minigame that turns the game into indie hit Getting Over It with Bennett Foddy, and a special melee weapon direct from PlayerUnknown’s Battlegrounds. Possibly the biggest Easter egg discovered so far though is the discovery of a mini-version of Jurassic Park on the island. But where is the Just Cause 4 Jurassic Park Easter egg, and what is it? Are there any dinosaurs? We’ll do our best to answer. Where is the Just Cause 4 Jurassic Park Easter Egg? 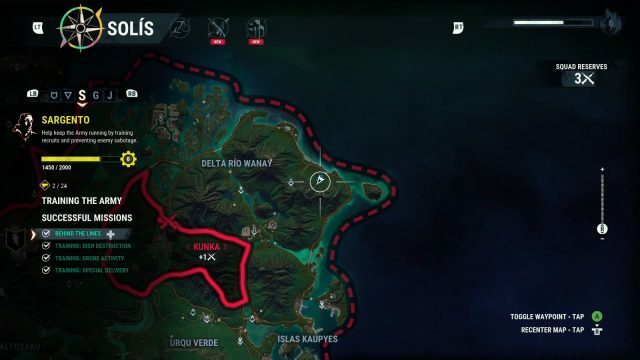 The Just Cause 4 Jurassic Park Easter egg is located in the north-east of Solis island, the far top-left of the map, in the Delta Rio Wanay region. The area it’s in is mountainous, and are covered in ancient statues which you can unlock with a lever. Don’t get distracted by them, though. Head to the place indicated on the map above. If you’re flying or parachuting over you may spot a large structure in the trees. Head to it, and you’ll find the mini-Jurassic Park. 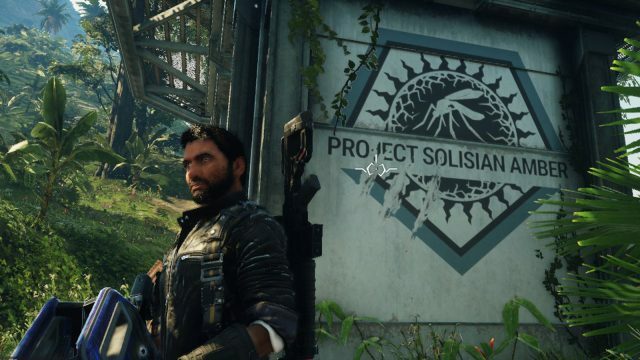 What’s in the Just Cause 4 Jurassic Park Easter Egg? 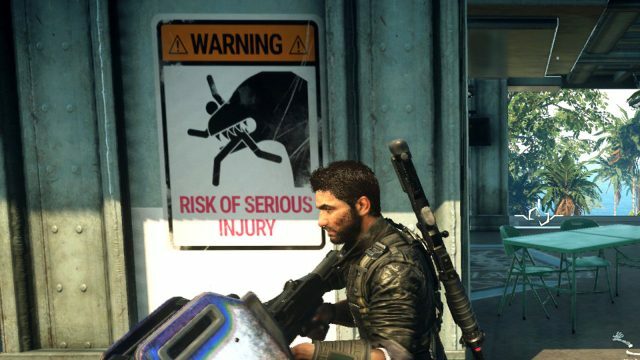 The Just Cause 4 Jurassic Park Easter egg contains a structure that resembles the Raptor pen from the first Jurassic Park movie (which is why we’re calling it a reference to that rather than the more recent Jurassic World), which something has broken out of. There is a logo on the side for “Project Solisian Amber” along with a mosquito, vaguely in the style of the famous Jurassic Park logo, and of course mosquitoes trapped in amber is how InGen in the movies got dinosaur DNA to clone in the first place. The logo is scratched. In the top of the structure, there’s a picture of a dinosaur, a human skeleton, and a terminal. If you attempt to use it, there’s a direct line from Jurassic Park. There are other nods you can discover yourself, but you’ll especially notice the terrifying roar from over the hill. Sadly however, if you go to investigate you’ll find nothing. 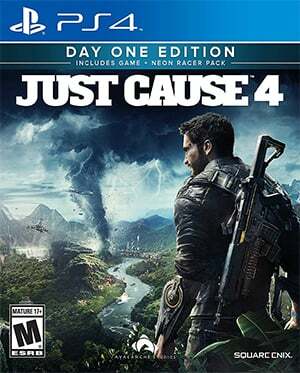 At the moment, there are no dinosaurs to be found in Just Cause 4.